Today is a good day. FashionABLE is launching their responsibly made denim line! Remember a few weeks ago when I went to Nashville, stopped by FashionABLE’s flagship store, and shared about their new denim line on Instagram? While I was there, I got to try on every single pair, and I’m happy to report that they are even better than I’d hoped! Beautiful washes, fashion forward silhouettes, and excellent quality. I thought they were even better than my trusty Madewell jeans — hooray! Denim is such a staple in my wardrobe and it’s been challenging to find denim that’s both responsibly made and cute — but they nailed it and today you can get some yourself! After trying on all their denim, it was time to narrow down to a favorite. Oof, that was hard. As much as I loved their skinny jeans (both the light wash and darker wash), I’m all set in the skinny jeans department. So I took a bit of a risk and went with The Vintage jean! They are a little bit of a leap for me — the leg is definitely wider than I’m used to. I wasn’t sure what kinds of tops or shoes would work with them, but I had a blast figuring it out. Turns out, they aren’t so risky after all. FABRIC: The fabric is wonderfully soft. It doesn’t have much stretch, but it already feels broken in and loved. The BEST. SIZING: I took my regular size and it fit well — no pinching at the waist at all. They have a mid rise, so while I could wear them a little lower (like a boyfriend jean) I want to wear them more like a high rise jean. The waist gaps a little when I wear them higher like that, so I’m thinking about getting the waist taken in a bit. Even still, it’s minor (as in, you can’t even tell in the photos) so we’ll see. LAUNDRY: I’ve already washed them once and they do great in the wash + dryer. I rarely dry my denim, but I wanted to put these through the wringer and see what happened — they came out like champs. Not much shrinkage at all. CUT: My favorite thing about them? I love that they have a wide leg, but it’s not exaggerated. That loose leg feels like heaven. Now let’s get into the styling! To style it up just a bit, I tucked it in and rolled the sleeves a couple of times. Done and done. If you wanted to transform this into a going out look, you could easily throw on a chunky heeled mule in a fall hue, a crossbody bag, and a pair of sunnies and you’d be the coolest person on the block. I also tied my bandana a little differently than I normally do — less like a scarf and more like a true bandana. I like it! Also, lace up sandals! Turns out, they are my favorite shoe to pair with wide-ish leg crops, like these jeans. Or at least, my favorite summer shoe. But more on that in a minute when we get down to Look 5. NOTES: This outfit embodies that minimalist-boho style that I’ve been drawn to this year. Linen blouse with statement sleeves? Check. Vintage cropped jeans? Check. Clogs? Check. It’s all here and I love it. To me, there’s no need to accessorize because everything is a statement. The color + cut of the shirt, the cut of the jeans, the clogs themselves. Everything is just a little bit outside of the mainstream norm. WEAR IT: when it feels like fall! But even still, I wanted to play with a fall look today — mostly because I was a little iffy on how these jeans would work with ankle booties and I reeeeally wanted to figure out how to take these jeans into fall. But all my doubts went away real quick — ankle booties look 100% with ’em. So favorite shoe pairing with wide-ish leg denim? I’d say it’s a tie between lace up sandals and ankle booties. Do you have a similar pair of wide leg jeans? What’s your favorite way to style them? And I’m curious, which pair of FashionABLE’s new denim is your favorite? Finally, got any fit questions about my jeans? Ask away in the comments! I have a small waist and big hips, so My number one requirement for jeans is that they don’t gap in the back of the waist. I hope FashionABLE makes jeans that fit bodies like mine. Love the jeans (and your blog), but isn’t gifting jeans a form of sponsorship? They wouldn’t have handed me a free pair if I walked into the store, I’m guessing. Hi Caroline, love your blog and know you have a high level of ethics, no question, but that made me wince too. It is merely a difference of terminology and I say that as a former blogger who has also received comped items. You didn’t purchase the product on your own and it was a gift from the business (vs a personal gift from say a family member) so I personally wouldn’t make a statement about the post not being sponsored. As businesses gift items in hope of exposure either on social media or via a blog/vlog review, from the reader perspective it is a form of sponsorship even if that is not explicitly agreed upon. Perhaps you could say while you received the jeans as a gift you would not hesitate to purchase on your own or something like that. The jeans look fantastic on you! I think you’re taller than me however but I’m off to take a closer look, very cute. I liked the ankle boot styling the best but you did great on all looks. This makes total sense to me, and TBH, you’ve been so consistent with sharing your work with transparency, I wouldn’t give it a second thought if they did pay you! They obviously were just giving you something you’d obviously enjoy! And you posted because you love it so much! If you hadn’t I wouldn’t have discovered this company, so Thank You! You’re unquestionably one of my most favorite bloggers of all time. Your motives are clear. I look forward to more of your sharing Girl. Love from LA. Hi! You mentioned that you ordered your usual size, but do you mind sharing what that is? I’m normally a size 25 in skinnies, but I’m very short (5’0″) and will definitely have to cut these shorter. I know you’re much taller, but do you think that will change the look of them and where the flared part hits significantly? Love these jeans! My favorite look is #2: so effortlessly stylish! Hi Caroline, thanks for the 5 outfit ideas. I have recently bought a similar jeans by Urban Outfitters (axyl bdg). I would pair them with shirts and blouses – either tucked in or over the top. For shoes I would take my flat ballerinas. PS: when will you publish the second part of the home tour? I would love to see it. I have been wondering what pair of jeans you purchased :) I couldn’t wait until the launch and these are the ones I was immediately drawn (I love skinny jeans but an def wanting something else). Thanks for the style inspiration! Did you redo the length of those or is that where they hit your leg in the store? Love the look. Was hoping for a good, true, dark black wash. Maybe in the next batch! I like the Angie wash (saturated black) but need a good, solid (i.e. not ripped) staple pair before moving on to distressed black denim. Thank you for the suggestions, though! I loved this post! So fun and so helpful! 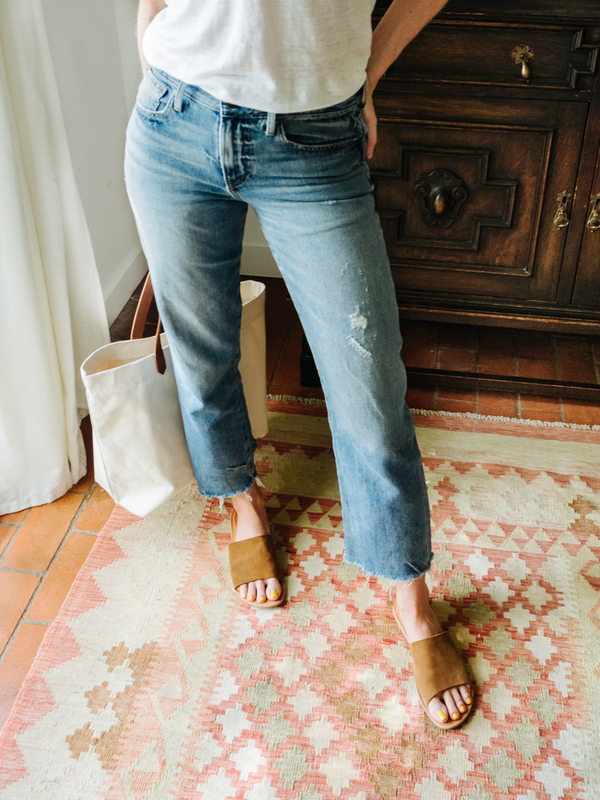 I do have a similar pair from Madewell–their “perfect fall jean” from a couple years ago which I have cut off/cropped more recently. They truly are fun to style. I love all your looks here. I love to collect national park tees as I visit new parks. Which national park is featured on your tee? I can’t make it out. Sure looks like it could be Acadia, which is where I happen to be right now. Maine…? Awesome! I love seeing how those vintage jeans work so well in a variety of situations. Sometimes you see something you love but end up in a rut only pairing it a couple different ways when there are actually quite a few other possibilities you didn’t consider. Thanks for such great ideas, it helps to see that vintage jeans are so versatile. It gives me the motivation to take a few of my pieces and experiment. What nail polish are you wearing on your toes? It’s so vibrant! But, they have holes in them and the hem is ragged! Not for me! I have a nearly identical pair of retro jeans from Madewell, but I am confused by the “wear low & slouchy” instructions that came with them. What, exactly, does that mean? If I pull them down low, then the crotch sags way lower & looks weird…? I love all your styles, great the way how you mix the same jeans with the rest of clothes. This came at the perfect time for me. Thank you, Caroline! I like the Boho look of these jeans and I love look 5 and but look 4 nope, I just feel the vintage jean is more of a casual look rather than an “out for dinner. They do look super comfy and I love the waist. I think I need a pair for some adventures. I absolutely love this! A good pair of jeans are so versatile and great for mixing and matching with outfits! Sigh, I am a little disappointed there is no long leg option. I desperately need new dark wash skinny jeans, (and a black pair too really), as my cheapie (Old Navy) ones from last year did a weird creasing and fading thing on the legs. But I am 6 feet tall and definitely need a longer inseam. Oh well. Hey Sara, that is a bummer!! I was going to recommend Mott + Bow, but it looks like those have a shorter inseam as well. :( What about a USA-made brand like Rag and Bone, Frame, or Citizens of Humanity? Jeans.check. love love the way you wear them! Tops. Check.— basic. Beautiful in all ways. Versatile. Feminine. Footwear. Perfect. Check. yours are beautiful. feminine. revelation— assess time for mine. Grateful. Grateful. Grateful for your teaching🌹Caroline. Truly. Are you able to give any assistance in sizing since you went to the store? I’m one of those people who is always in between sizes. When I was in school many moons ago we called those flood pants. Why on earth are they deliberately making them? Not that I could buy a pair even if I wanted to as they only go to 32. Seems to be the trend with sustainable companies. I have connected with you before about the “prefect pair” of booties and realized the Bryr clogs might be my answer. However, since they are an investment, I am wondering if you feel like these clogs are shoes you can walk in a lot? Also, have you tried socks with them during cooler days? I have emailed the company similar questions but trust your advice too and wondered how you like them. Thank you again for your blog posts and putting yourself out there! Hi! Great question! Right now I work part-time from home so I can wear whatever shoes feel right for that day. :) I walk a lot with my almost four year old daughter but I usually wear sneakers or rain boots or flip flops depending on the season and weather. When I am solo I take the bus a lot so I like comfortable shoes but with a heel because I am ~5’3″ and I just feel better with more height. I may be going back to a more traditional work environment so I might be walking a lot inside and for commuting via bus and ferry. I am trying to find that “perfect” bootie or clog, 2-21/2″ that will be good for spring and fall and winter and go with a lot! A lot to ask, I know. Any suggestions or insights would be wonderful. Thank you! Hi! I’m actually coming to this post late because I am obsessed with Bryr clogs and trying to decide between the Clementine or the Suzie closed toe, how do you like the Clementine? Did you get your regular size and do you feel like they stay on while walking. I love Bryr and they are so beautiful and comfy! I love this post! Please do more posts like this, showing different ways to style one item – so much inspiration! ^ What Jess said :) It’s very helpful to see how versatile (and stylish!) an item can be. Right now I’ve got my eyes on the skinnies in the Carla wash since I’d love to have a really dark pair, but I’m nervous about dye transfer onto light fabrics. Any suggestions? 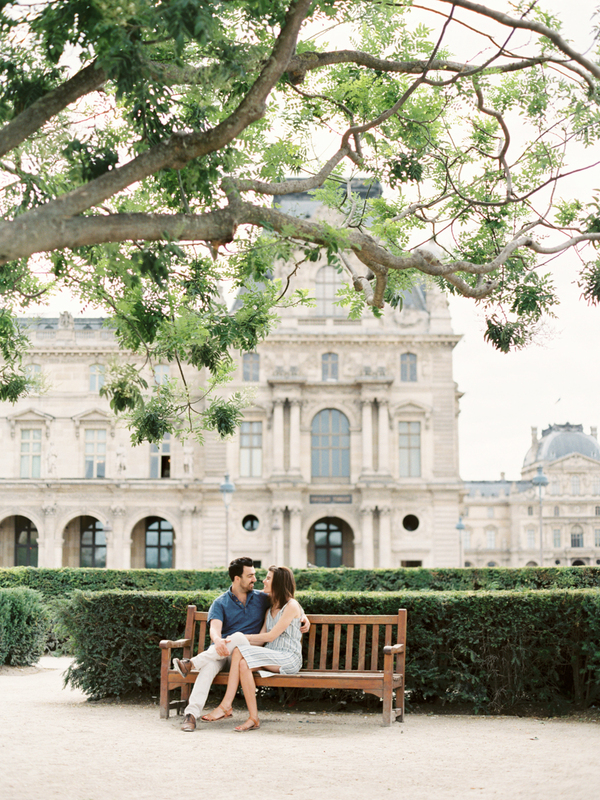 Hi Caroline, love your blog! Hi Caroline, upon your encouraging feedback, I went ahead and ordered these jeans (through your link) and love them! I’m 5’1″ and decided to wear them with a rolled cuff for a slightly more polished look for the office instead of cutting them. I’ve noticed you styled them all with the top tucked in and think that’s the real secret to cinching all the outfits together. The waist is ever so slightly loose on my so I may get them tailored at some point but love them just as they are anyway. Thanks again! I totally feel you on the jeans and tee look feeling a little tired. That happened for a bit to me until I got some amazing wide leg linen pants that changed the game! :) Sometimes you just need something a little different to shake things up. I love the lace up sandals! I think they really complement the silhouette of the jeans. It’s crazy, but I think those and the booties really change the shape of them. They look like totally different jeans. Love all the options! I looove these jeans!!! Looks 3 & 4 are my fave and I’ll definitely be checking out FachionABLE. I’m on a new mission to find sustainable brands, so thank you for the tip! 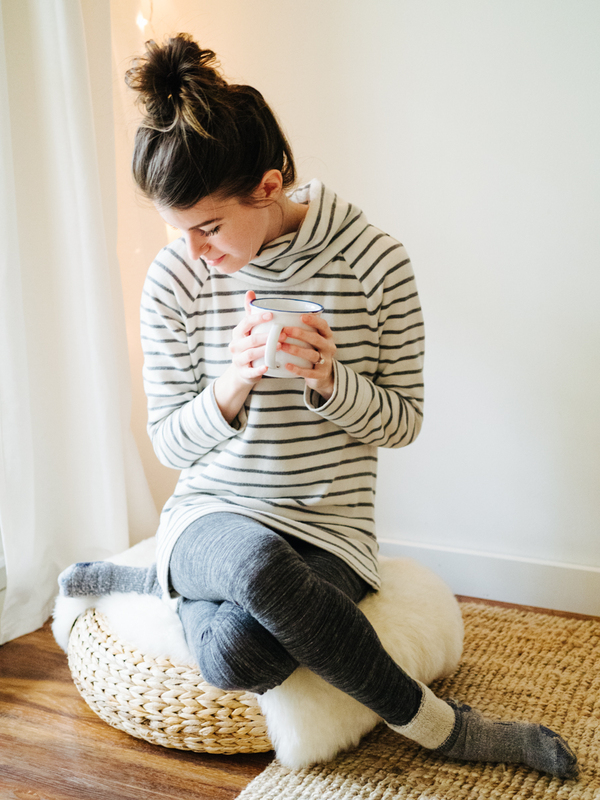 Oh my gosh I love this post so much, I’ve seriously fallen in love with your style! Never would’ve thought to wear clogs, but I’m totally loving them. Will definitely be giving them a try! Ok, so Im loving the jeans, but the thing I can’t stop thinking about on their site? The Jacket! Did you happen to try it on? Thoughts? I have been saving for the oversized one from Madewell, but I think I like this one (and their company heart!) more. Gah, decisions! Hi Caroline! PLEASEEE make more youtube videos. I’d love to have a peek at your wardrobe and the items you’re planning to wear in the next season :) thanks! I LOVE these jeans! They seem like they would flatter so many body shapes – I’m a pear shape and have been hunting for a pair of jeans like these. They are perfect for the summer to fall to winter transition in Texas! How many pairs of jeans do you have in your collection? Looking at your blog posts, it looks like a ton, but I think it’s just because you style so creatively :) Thanks, Caroline! LOVE those jeans…an instant favorite, already broken in. 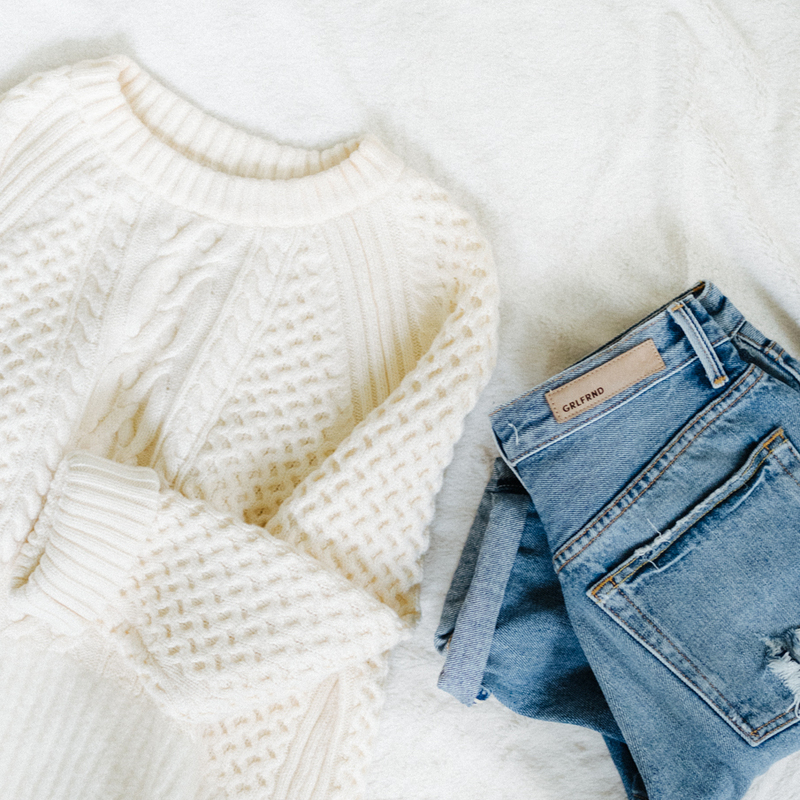 The way you styled them – so perfect. Hello, Caroline. I just want to let you know I’m thinking of you and your husband…as I can’t remember which part of Texas you live in (my husband and I live in north Texas). I hope you are both OK.
My heart and mind have been with everyone on the coast. There simply are no words that I can find for what has been and is still happening there. We are doing well, not in the evacuation zone. Thanks so much for checking on us Ardith!! Are you ok after the hurricane? Are you still planning on posting around 4 times a week in September, Caroline? Hey Carol, I will still be back to posting again soon. Aiming for 2-3 times a week for now — to ease back in. :) Coming soon! Okay, what is everyone else planning for Fall? It’s still warm here in Chicago, so I haven’t been inspired to figure out what I need. I know my color palette will be the colors that make me feel confident: black, white/ivory, grey, burgundy, taupe and indigo. Hi Caroline! I just wanted to check in on you! Just cuz, ya know, I care. I’m a regular reader, and a fan (love your blog)! And you should always tell someone you care, right?! Sending good vibes…and I miss your blog! Cute jeans. They’re definitely a staple in my wardrobe as well and I’m looking for a new fall jean that are responsibly made, so I’ll keep them in mind. I love the not-so-wide leg cut but it’s not a fit to my vertically challenged frame. Their slightly distressed skinny looks so tempting. Also, I am stoked about Everlane’s new denim line coming this week. yeee!!! Enjoy the break! Burnout (even if it’s something you love) is so real, and it’s great you’re taking time to recharge yourself. Has anyone here purchased any of the eBooks from Classy Yet Trendy.com? I’m perfectly capable of doing my own wardrobe planning, but I hate shopping and I always need some seasonal motivation. I have! I love them Carol! I bought them last fall, winter and spring…it got me to a place that I’m confident piecing stuff together myself now! I really recommend them though…I mostly buy used and it was easy to find the pieces used. She also does different styles…french, stay-at home, trendy/contemporary. It really, really helped me get it together. Thanks, Ophelia. I might buy the Fall 2017 Essential capsule, just for the motivation. She doesn’t write like Caroline though, no one does. Hello! Love your blog and I’m in need of some help. I’m in search of a pair of black skinny jeans, but I have found that the mass majority are made up more of rayon or modal than cotton (Paige, Adriano, rag). It seems that the fashionable skinnies with a 92% cotton will have much more longevity, but I’m wondering about the difference in fit. Did you notice a difference in the thigh or booty when trying on the skinnies compared to most other brands? I have a compact frame with bum and thighs, but generally a 25 waist. I have the alem bag from fashionable and love their customer service, but would rather not go through sifting through endless amount she of denim. Everlane just released a denim line, and it’s 98% cotton. Hi Caroline – I tried these jeans based on your recommendation of FashionABLE ethics and the way you styled them and wanted to say Thank You! I’m a hard fit with waist smaller than hips and these worked. I’m lazy about commenting but , since I’m here, i wanted to say thanks for your integrity. When you post, I know that the style will be great and the info honest. Best wishes. I’m glad to hear you are not in evacuation zone! I’m so glad you posted this! I’ve been on the fence about these jeans and I think you’ve convinced me to give them a try. It’s so helpful to see all of the ways that you styled them! I know you wrote this awhile ago, so you may not see this, but my only question is how soft the knee area is. I have three kiddos and my jeans have to be able to allow me to get down (and then up and then down and then up, etc) with them. Hey Karin! Glad the post was helpful :) These have a bit of stretch, so I really think they’d be good for real life livin’! They do have a decent return policy if not, but hoping they work for you! I’m so excited we’re getting more ethical denim options! And seriously ladies, check FashionABLE out – I was so impressed with everything in that store! Hi Caroline! 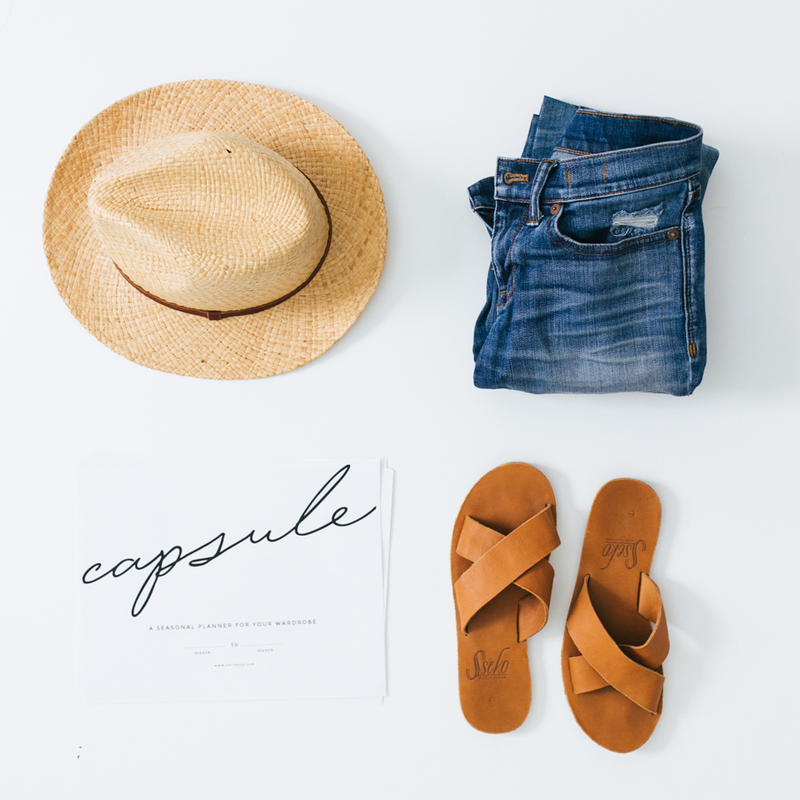 I’m wondering whether you’ve tried the new Everlane denim and what you think? Where did you go!? I miss your posts. Scrolling through to check and see if you are okay and glad to see that you are. Hoping you’re taking a much deserved break and are taking care of yourself and enjoying family time. Can’t wait to see more posts soon! Caroline, you are the Queen of Casual. Just wanted to comment and say your blog has been a renewed source of wardrobe inspiration for me. 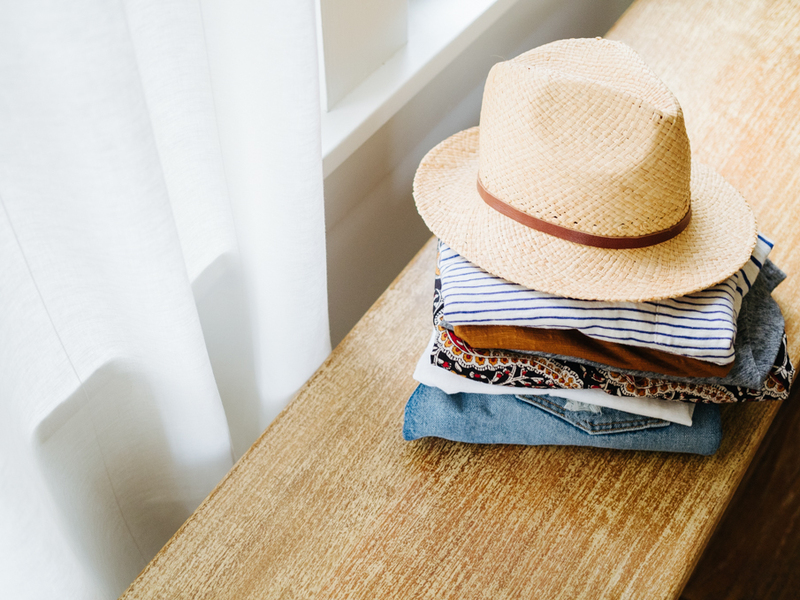 I used to shop all the time – not so much any more but I still have a lot of clothing that I don’t wear hanging around my closet – even after what I thought were really “good” closet clean outs. I am 7 months post-partum and I am at the point where my old clothing is finally starting to fit (and some things not because #mombod). I am not sure if its wanting to simplify because I’ve got even less time now to think about my outfits or the changing seasons…but I think I am finally ready to have a mindful closet. Thank you. Just want to say how much I your posts. I hope all is well. Hey girl! Love your blog and think you are generally awesome. Worried it’s been so long since your last post. Hope you are just relaxing and loving life. Just stopping by to say hello and hoping that everything is ok. Hugs! white tee, blue jeans, slides and necktie scarf.